In the recent years Walmart has been steadily expanding its product and services offerings. One of the less expected services you can find at its fleet of almost 4,000 locations is tax preparation. For 2012 tax season, the company partnered up with TurboTax Online and offered two options to file your tax return: online or at a Walmart store. The company stands behind the product and in case you decide to file taxes online by yourself, you can count on obtaining maximum tax return based on your particular situation, accurate document preparation, and free audit assistance. You can also stop by, make an appointment or drop off documents to have the taxes prepared at selected locations. Similarly to the online option, the services include fee and refund estimation, downloads of W-2 forms, audit assistance, and 1040EZ form preparation. Those services are at no cost but keep in mind that there might be fees for state tax preparation or if you need to file more complex tax return or additional forms that include itemized deductions. To make the most out of your visit, make sure that you have all the necessary information with you. Bring the copies of all your income, especially W-2s, 1099s, interest you earned on your savings account, CDs, or dividend payments your received. Additionally, have the information on all your family members handy (social security numbers, dates of birth). Lastly, if you expect to claim many deductions, have all the supporting documents (include copies of all 1098s you have) to file the return as accurately as possible. Once you receive a refund, you can stop by the MoneyCenter and cash your checks or transfer it to your Walmart MoneyCard. That’s just one of the scenarios for your refund. You should study other options to determine what’s the best financial solution for you at the moment. Walmart has yet to announce the service fees for the upcoming year but it’s still relatively early for that. The company is known for its pricing power and might be the least expensive solution during the next tax season. And don’t jump into the wrong conclusions and judge the quality of service by the price you pay. 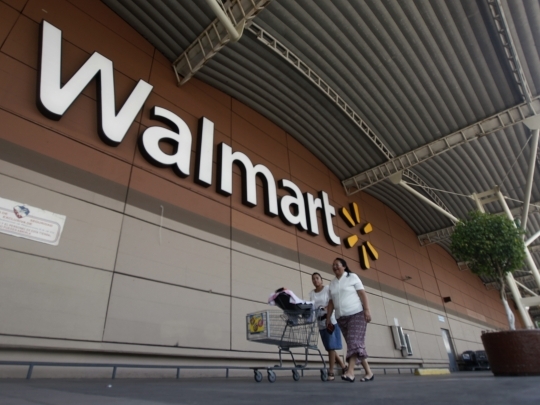 Walmart stands by the quality of the services provided at its stores by the trained tax professionals.